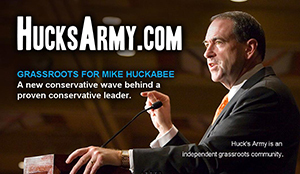 Huck's Army Forum :: Faith, Family & Freedom • View topic - Is the Libya conflict about oil or what? Is the Libya conflict about oil or what? Post subject: Is the Libya conflict about oil or what? Bush was painted as immoral for being in Iraq about oil now Obama has the Libya confllict to explain for....is it about European oil or what? Post subject: Re: Is the Libya conflict about oil or what? What is our goal? I am learning about the constitution in school and I am asking if "kinetic military action" is war so that Obama can be impeached!!! Did I mention she's forty and still SUPER libreal. That is unusual where I am. When she was explaining welfare she said ObamaCare is for the dying old granny!!!!!!!!!!!!!! Ga will go for Huck. The Huckaboom to return. We'd love to hear what you have to say, guests! And now Obama is authorizing some sort of covert activity in Libya, without any permission by Congress. The news was just now on Greta in an interview with John Bolton, former United Nations Ambassador. Boots on the ground? Sounds like Obama may want to take Gadhafi out. But will the replacement government be just as bad? Also, Gadhafi's staff all seem to be fleeing the country. Can America afford this involvement, the price tag of which has already reached $500 million in Libya? I think the conflict throughout the Arab and Persian Middle East countries is about much more than oil, although that underlies the wealth and power being sought. It sounds like there is a strong, underlying contingency of Islamic radicalism, trying to foment riots across the Arab world. It is too broad not to be somehow orchestrated by (it seems like) the Muslim Brotherhood and/or Al-Qaeda. And it sounds like Ahmadinejad of Iran is probably part of inciting this unrest. With fierce hatred he wants to put Israel in greater danger than it has been for many years. Even the rather tranquil country of Oman--which, with Iran, controls the Strait of Hormuz, through which 40% of oil tankers pass--has seen demonstrations and discontent in its country that could further destabilize the flow of oil. Prices for oil could skyrocket. As John Bolton says, the time to have stopped Iran in its development of nuclear power was during George Bush's term. Their nuclear bomb(s) could be deliverable within six months to a year, for all we know. And Ahmadinejad believes he is the Imam to bring about Armageddon and the annihilation of Israel. As I read somewhere today, the world is quickly becoming as dangerous as in the Cold War era, except that then we knew the countries where communism resided, with the USSR being our most feared enemy. Now we have no way of knowing where the enemy has infiltrated or exactly what the forces are that we face. Something very destabilizing is obviously going on. Call me a conspiracy theorist (or an agenda analyst ), but I believe if the American intervention in Libya were primarily in the American interest, Obama would have been much less eager about it. From what I have observed, I believe Obama is primarily a globalist and has his own agenda. This agenda seems to include supporting the destabilization of the Arab/Middle East region. With America's best ally in the region now gone in Egypt (Mubarak), Egypt has now quasi-recognized the Hamas rule in Gaza and the Muslim Brotherhood is rapidly gaining influence there. The Obama administration now has also accepted the prospect of Iran possessing nuclear weapons. Btw, DEBKAfile reports this morning that the Benghazi rebels have sold chemical weapons to Hamas and Hizbollah out of Ghaddafi's stocks. The war is about preserving European oil supplies. The Europeans were going to go ahead and do it whether we went or not. We shouldn't be there in my opinion. Obama's "policy" lurches from indecision to poor decision and back again. It's like he lacks any familiarity with the methods and requirements of executive leadership. Who'd of thunk it? I'm not so surprised! But then, how does being a community organizer prepare one for executive leadership, particularly the Presidency? But being in the position he has, he can do a whole lot of harm. I wonder if he still believes in himself as a sort of Messiah?? Do you think Obama's worshipful Democrat followers will wake up and drop him in the next Presidential election? His favorable numbers are at a new low for him. Problem with that is - the Europeans (the British and French in this case) lack the military strength to do this thing alone, as they have admitted themselves. Well, too bad for them. I'm tired of us bearing the weight alone because they're too busy funding their huge welfare states. They were all party to the peace agreement (or whatever it was) with Iraq at the end of the first Gulf war. Yet most of them were unwilling to help hold Hussein accountable. They look down their noses at us because we spend a lot of money on our military but when the rubber hits the road we're expected to come and rescue them. "It is true poverty for a child to die so that we may live as we wish." Either I havn't been watching news latly or Obama is hiding from the media. Go, be simple, and set it to us straight. Pease! I agree, too bad for them. They were neither attacked nor threatened. That's why I hoped, Obama would stay out of it. I was watching Fox News when Heraldo was in Libya interveiwing Rebels. He said they were definitly not Al-quaida (just the facts). I still think we shouldn't be there. Oil, and killing sons and gtandchildren. TRIPOLI — Libyan leader Muammar Gaddafi survived a NATO air strike on a Tripoli house that killed his youngest son and three grandchildren, a government spokesman said on Sunday. Grandchildren 6 months to two years old. Anyone here have any grandchildren? Anything else I could say would probably get me into trouble..
You say "Conspiracy Theorist"?? Call me Agenda Analyst. IIRC, the Bush administration made peace with Libya due to them giving up plans for building or acquiring WMD's. Now we need to take down their government because rebels, justified or not, decided to launch a civil war against the Libyian regime? Generally speaking, when you decide to take down your government thru force, they tend to fire back with real bullets. as the average Christian fundamentalist follower of Hagee and his ilk are over Muslims. Anyone here who applauds such an atrocity may want to put up a baby and 2 toddlers from your own family for NATO target practice to see what it is like. Why did so much of our cursed foreign aid go to empower Gadhafi and the like? My cat shows more wisdom in choosing what section of her litter box to use next than the clown troop responsible for our foreign policy. Their wisdom would be crappin in the food bowl instead.